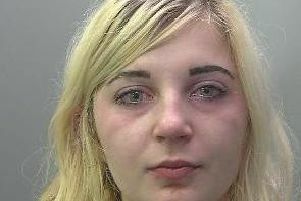 A member of staff was held at knifepoint during a robbery at a Peterborough city centre pub. The robbery took place at 6.20pm on Sunday April 23 in the Henry Royce pub in The Broadway. A man entered the pub and asked a member of staff for money before brandishing a knife. He escaped with £20. Police quickly identified a suspect from CCTV and an arrest was made in the early hours of Monday morning. The man, in his 50s, was taken to Thorpe Wood Police Station but was taken to Peterborough City Hospital after he sustained head injuries.